WE WORK WITH THE BEST BRANDS OF THE WORLD AND ALWAYS KEEP A LARGE STOCK! Thank you for the interest shown in our online catalog. Our strategy is that we only supply to ship-owners, ship management companies and offshore companies. Therefore we do not supply to other trading companies. 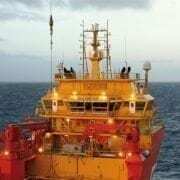 If you are connected to a ship-owner, ship management company or offshore company, please enter your details or contact us for access to the Imatech online catalogue.